Put Your Foot on his Head and Drown Him Quickly: Is This Baldassare Castiglione’s Ultimate Advice in The Book of the Courtier? Baldassare Castiglione’s The Book of the Courtier is a work which articulates some very sensitive issues. It is a deliberately ambiguous book at least in part because Castiglione wrote in tumultuous times when one could literally lose his head for offending the wrong people. Castiglione therefore wisely obscured his own final perspective by utilizing the clamor of contrasting opinions. Because there is no particular protagonist with whom the reader is expected to identify, no single dominant voice emerges on the book’s most sensitive question: Is the courtier ultimately loyal to himself or to the prince he serves? 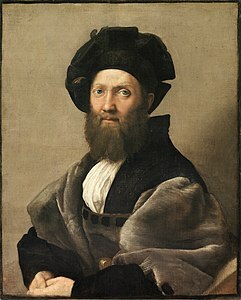 Castiglione sought to convey a set of beliefs when he wrote The Book of the Courtier. However, well-founded prudence caused him to be circumspect in his presentation. Thus modern readers cannot ascertain Castiglione’s ultimate point of view with certainty. And it is also possible that his own opinions are as ambiguous as his dialogue. However, one thing can be stated unequivocally about The Book of the Courtier—despite the pretense that its interlocutors are playing a game, they are discussing critical issues which were often a matter of life and death. The characters in The Book of the Courtier attempt to describe the qualities which define the ideal courtier; this is a very serious question. Yet the tone of the dialogue often seems Pollyannaish in contrast to its historical backdrop. A preponderance of the voices in the dialogue proffer a touchingly idealistic view of the courtier’s role. The disparity between the amount of ink devoted to the idealists versus that given to advocates of realpolitik is curious. The dialogue is dominated by unctuous proclamations that the courtier should be a paladin of honor and virtue. But such claims seem ridiculous when one considers the political realities of the time. The Medici family did not come to dominate Italian politics by being nice guys. Occasionally, however, cynical dissenting views creep into the discussion. These counterarguments are often so compelling that the reader is left to wonder who exactly is foiling whom. At times one is tempted to ask if Castiglione were really a closet Machiavellian. The fact that the reader is unable to prove which side the author is on is a striking indication of his artistry. Castiglione’s final objective in writing The Book of the Courtier remains obscure because the views of both the idealists and the realists are eloquently expressed. When Federico asserts in a pious tone that a good courtier “should never seek to gain grace of favor through wicked methods or dishonest means,” Calmeta cynically retorts that “our rulers love only those who follow such paths.” This interaction summarizes the conflict which permeates the entire dialogue: Should courtiers be loyal to their princes in the name of aristocratic honor or should they simply do what is best for their careers? Although the mood of The Book of the Courtier fluctuates from light to serious, the anxiety around this conflict simmers near the surface throughout, and sometimes it bubbles to the surface. However, the mawkish tone of such declarations makes it difficult for us to take them seriously as representations of courtly discourse during the Italian Renaissance, which was a cauldron of guile and intrigue. Ottaviano’s and Federico’s naive proclamations give little indication that Castiglione was a contemporary of Machiavelli unless we are willing to entertain the notion that Castiglione was some a closet Machiavellian. Magnifico is amused by Cesare’s perceptive observation, and although he expresses the sentiment that “I should never like our courtier to practice deceit,” he nonetheless happily relates the following proverb: “When your enemy is in water up to his waist, you should extend him your hand and pull him out of danger; but when he is in up to his chin, then put your foot on his head and drown him quickly.” Like Castiglione, Magnifico enjoys playing the game of defining how an ideal courtier would behave in a perfect world. But he is unable to resist pointing out that the sixteenth century Italian court was hardly an exemplary society. A work of literature conceived to elicit an identical response from each potential reader is merely propaganda, and The Book of the Courtier is no such thing. Baldassare Castiglione’s The Book of the Courtier does not contain a simple, unified interpretation discernible only to the particularly astute reader. The Book of the Courtier is praiseworthy for the complexity of its ambiguities, which is hallmark of great literature. This entry was posted on September 3, 2015 at 8:22 pm and is filed under Essay, Morsel. You can follow any responses to this entry through the RSS 2.0 feed. Responses are currently closed, but you can trackback from your own site.